The most common and most affordable option for roofing is asphalt shingle roofs. This reliable and cost-efficient option has been around for a long time. Over time, asphalt shingle roofs have had modifications, so your roof can withstand more of what nature throws your way. Installing an asphalt shingle roof will keep you and your family protected for years to come. When choosing to replace or install a new roof, asphalt shingle roofs are the popular choice. These roofs have many benefits, but most of all, the materials are readily available so your roofing project can begin as soon as possible. With low maintenance and a variety of colors, it’s no wonder why so many homeowners choose to install asphalt shingle roofs. Fiberglass mat: At the base of every shingle is a mat made up of lightweight fiberglass. Asphalt: As the name states, asphalt is then poured over top the fiberglass and is responsible for protecting your roof from moisture, especially in rainy North Central Florida. Mineral Granules: Mineral granules are then added on top of the asphalt. These granules give each shingle a desired look and color. Allow for endless customization with a variety of colors and styles to fit your tastes. Are the most affordable option when choosing a new roof. Provide flexibility when it comes to installation, maintenance, and repair. 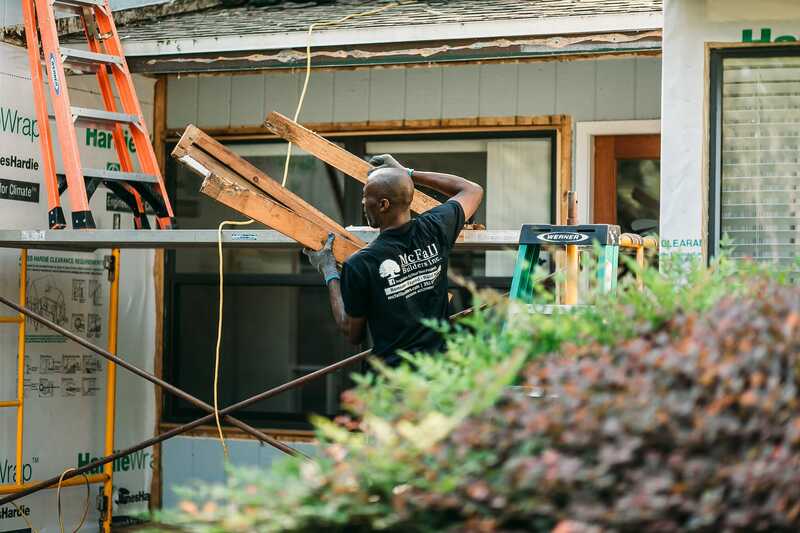 The installation process can be a tad invasive, but our team takes precautions to ensure that your home is safe during the installation and to minimize stress on you. Our team of roofing contractors will remove your old shingles and roofing materials, lay down protective underlayment, install new shingles, dispose of all debris, and perform post roofing inspections. Depending on the size of your roof, the process can take up to 4 days to complete. Asphalt shingles feature a sealant strip on the shingles. When installation occurs, another shingle will be attached by the sealant strip on the edge, creating an overlap. The sun will then heat these strips, making them into the glue that bonds the adjacent shingle to each other. Your roof contains many different components, making each project different than the last. 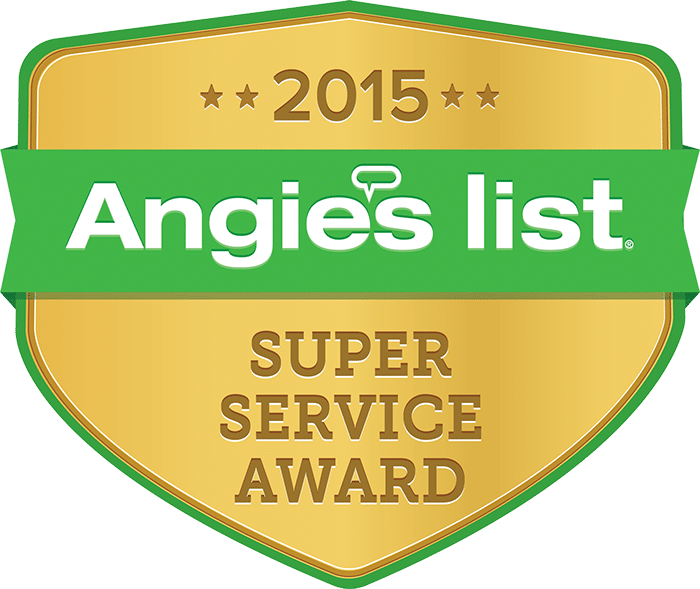 When we install your roof, we are doing more than just installing shingles. We must also install ridge caps to each of the peaks in your roofing line. Your roof will also be covered in underlayment, that protects your home’s structure and interior from the outside heat, water, and wind. Roofing in Florida is extremely crucial, due to our extended sunshine and risk of storms. Shingles tend to have a shorter lifespan in Florida compared to other parts of the country because of our sunshine. Lighter colored shingles help to extend your roof’s life because they reflect sunlight, rather than absorb. McFall Roofing understands that your roof will be put through a lot just by being in Florida. That is why we use shingles with 130 mph wind warranty and use stainless steel nails, making sure that your roof is prepared for all kinds of weather. We also use algae resistant shingles to preserve the brilliance and color of your new roof. It’s important that you have routine maintenance done to your roof to ensure its health and extend its lifetime. We recommend that you have a roof inspection twice a year, especially after an intense tropical storm or hurricane. Damage is not always seen by the naked eye. Another great way to prolong the life of your roof is to sign up for the McFall Roofing Maintenance Plan. In this way, you can trust that your roof is protected all year long. 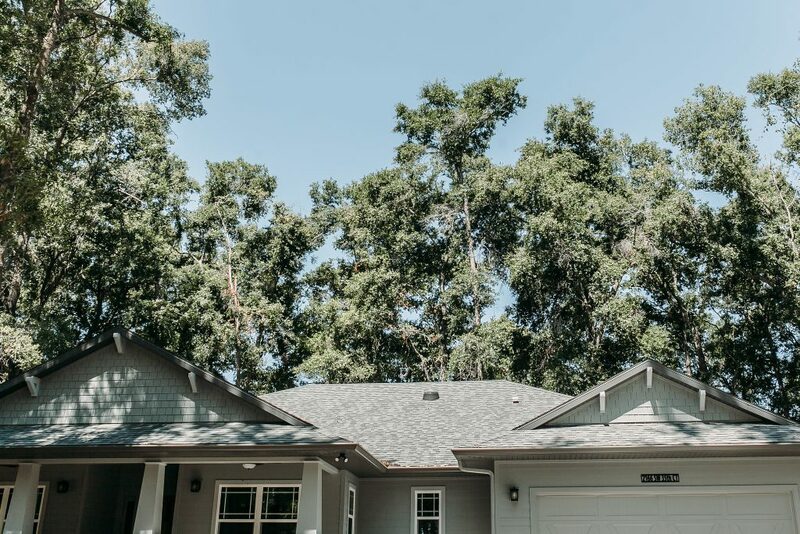 With roof maintenance from McFall Roofing, our team removes all of the tree debris from the roof surface and gutters at least three times a year. 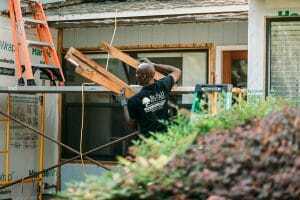 We will also inspect your roof each time we remove debris. When Should I Replace My Asphalt Shingle Roof? McFall Residential Roofing has over 20 years of experience in the roofing industry. We handle the installation of new roofs, maintenance of your roof, and repairs in times of need. 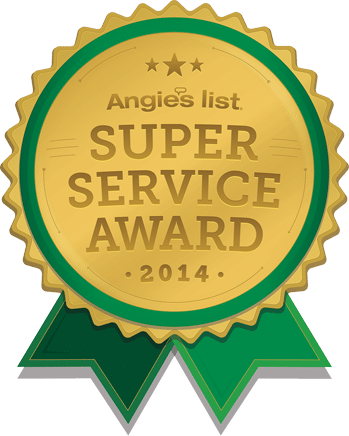 Interested in replacing your roof with an asphalt shingle roof? Contact us today to get started! Your roof’s main purpose is to protect you, your family, and your home. A roof is a necessity, but it’s an investment. You can take precautions to ensure that this investment is protected and it lasts for the entirety of its useful life. A well-maintained roof saves you money over the course of its life because you’ll be able to know the health of your roof, no matter its age. A new roof can fall victim to common roofing problems just like an older roof. 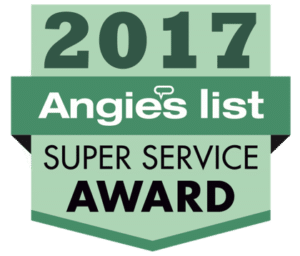 Just like with regular check-ups at the doctor or getting your car routinely serviced, your roof will receive the attention it needs with regular maintenance and will be healthy and ready to protect you and your family. Whether you just installed a new roof or it’s nearing the end of its useful life, being proactive by carrying out these small tasks will save you money, and avoid headaches, down the road. First, you should make sure your gutters are clear and free from any build up. Clogged gutters can lead to a multitude of problems for your roof, especially roof leaks. Water doesn’t have a proper way to drain when your gutters are clogged, causing the water to sit on top of your roof. This increase of moisture finds its way underneath your shingles, where they are unprotected, and can cause them to curl. Extra moisture can also lead to foundational problems for your roof, like plywood rot, that will ultimately lead to roof leaks and catastrophic roof damage. Clearing debris is important for homeowners that have a lot of trees near their home. Loose branches should be removed near your home, especially during storm season, to avoid damage to your roof or your home. But, you should also be aware of the accumulation of leaves on the top of your roof. If leaves pile up, they can retain moisture from rainfall and trap the water on top of your roof. This can lead to damage to your shingles, making them less efficient, and can cause roof leaks. If your roof experiences a lot of shade, you are more prone to dealing with algae growth on your roof. Algae doesn’t necessarily harm your roof, but it will cause discoloration. You should avoid trying to clean your shingles yourself because you could damage the shingles, leading to more repairs. It’s best to get your roof cleaned by professionals. Moss, on the other hand, can be damaging to your roof. Moss contains microorganisms that can cause mold growth or bacteria. This, in turn, causes your shingles to break down, meaning replacement or repairs for you. A good way to combat this is to remove the moss before it builds up. 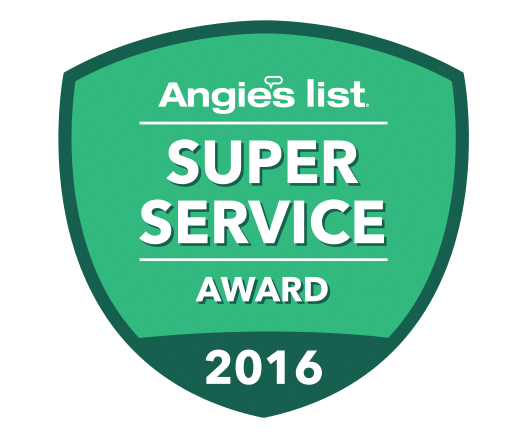 The best way to stay on top of your roof’s health is to get a roof inspection by one of our roofing professionals at least once a year. This way, you can have knowledge of problems before they become costly repairs. Some problems can go unseen by the naked eye and spread to more than one part of your roof. Having a professional roof inspection is crucial after a storm. While physical damage is easy to spot, underlying water damage can go unnoticed. Being in North Central Florida, roofs are more susceptible to damage from hurricanes, but also the routine thunderstorms we experience year round. The best advice to extend your roof’s life is to tackle problems as quickly as possible. The biggest roofing mistake is ignoring a small problem and then it becomes a much larger problem in the future. Making small repairs or taking the time to be proactive will save you time and money down the roof. Your roof will thank you! A well-maintained roof is a roof that is ready to protect you and your family for years after it’s installed. 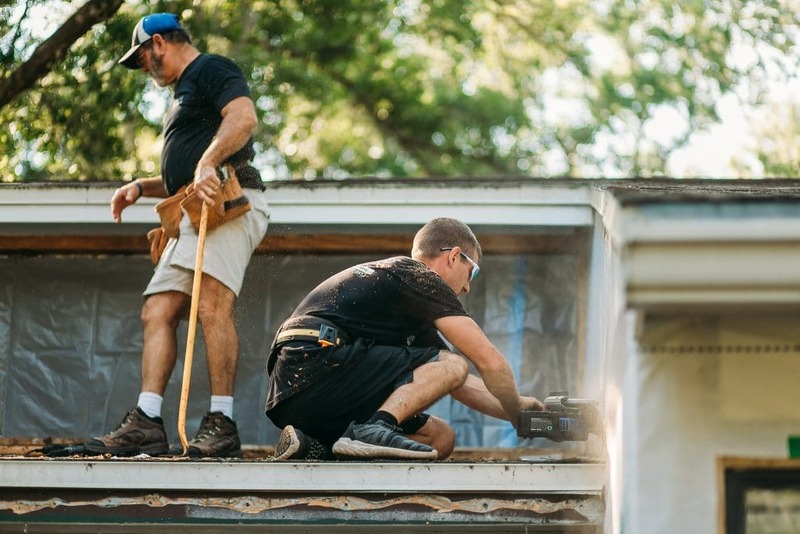 There are steps you can take to ensure the longevity of your roof, but you can make sure that your efforts are not wasted. Signing up for McFall Residential Roofing’s Maintenance Plan will make sure that your roof is protected all year long, and for many years after that. Interested in signing up? Contact us today to learn more. Are you tired of paying high costs for your electric bills? Are you tired of Googling, “Ways to cool down my home?” Or, are you just looking to make your home more efficient? Having an energy efficient roof and attic may help solve some of these problems. Not only could you see a decrease in energy costs, but you could also expect your roof to last longer when it’s cooler and efficient. So, how do you keep your home efficient and cool? We recommend five techniques to increase your roof and attic’s efficiency. Does Your Roof have Wind Damage or Hail Damage? It is common for large storms to sweep across the Ocala, Gainesville, & Lake City area. These large storms bring heavy rains, strong winds and even hail. Wind damage and hail damage to your roof is covered under your homeowners and business owner’s property insurance policy. If you were around during the hailstorm and have an idea of the size that fell, it will give you a basis for what kind of roof hail or wind damage to expect. Less Than 1 Inch: Hail smaller than an inch, or about the size of a quarter, may inflict damage to asphalt roofing. Most often though a hail damaged roof at this size can be more difficult to identify. You may require the assistance of a trained roofing inspector to accurately identify any hail damage. Greater Than 2 Inches: Hail greater than 2 inches will almost guarantee some level of hail damage to an asphalt roof. If this is the case, contact your preferred roofing contractor for a full assessment of damages and notify your insurance company. Most of the time insurance companies do the right thing. Some times they don’t. Sending out an engineer who writes a report that says there is no or little damage. Agreeing to pay for only a portion of the roof. Florida law requires that if 25% or more of the roof is damaged, then the insurance company must pay to replace the entire roof. Saying that the roof has deteriorated because of age when, in fact, the roof never leaked until a severe wind or hail storm. 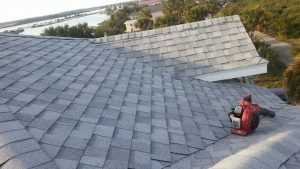 Most shingle roofs in Florida should last at least 20 years. Saying that the problems are due to installation, design or construction errors. Don’t be afraid to consider litigating these issues, even against some of the largest of insurance companies. After a storm has passed through, it’s always a good idea to get a trusted, licensed, and reputable roofing company out to your home to assess your roof for wind damage, hail damage, or any other storm damage.